Consuming 25 grams of soy protein can be part of a healthy, balanced diet. One cup of soy milk, three ounces of tofu, and 1/3 cup edamame each contain about 8 grams of soy protein. Soy based meat replacements and soy based nutrition bars can contain about 15 grams, on average. To learn more about the nutrition and health benefits of soy, Discover the Benefits of Soy Foods - a new article on our blog. This month and all year long, remember soy is a healthy food that can be incorporated into a variety of meals and snacks! How can you enjoy more soy and the many health benefits? 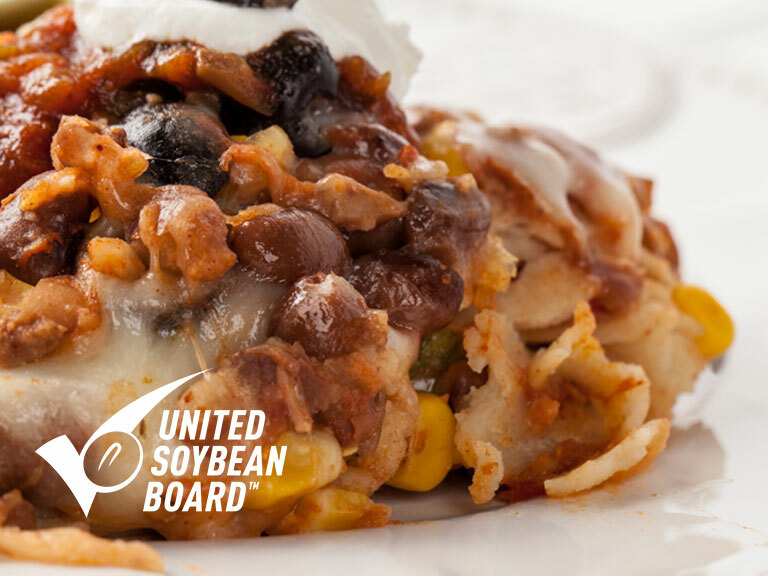 Introduce this fantastic meatless recipe into your household today!